Minds in Bloom is so excited to welcome Ofer Tirosh of Tomedes to the blog! 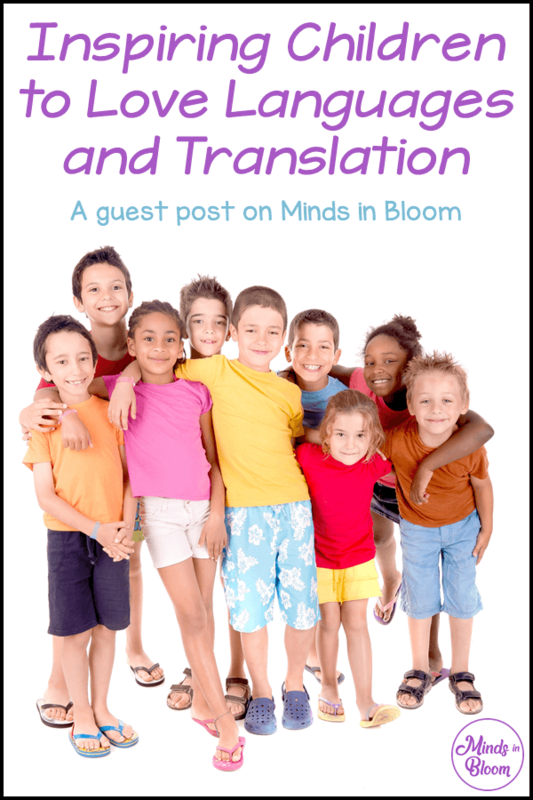 Ofer has written a fantastic post discussing the importance of inspiring children to love languages and translation, including information on why kids’ brains are better adapted to learning languages (as opposed to adults’ brains) and games that you can play in the classroom to help students practice translation. We hope you enjoy the post! Children have a natural flair for learning languages. According to linguistic research, “The physiology of young brains makes them naturally adept at phonological acquisition.” Put simply, young brains are hardwired to identify and imitate new sounds. Generally speaking, studies have shown that languages introduced early in life (generally before the age of 11) are acquired faster, are retained better, and are even spoken with superior pronunciation. With this in mind, it’s obviously beneficial to introduce children to new languages as soon as possible, especially as countless studies have shown that learning a foreign language has a number of lifelong cognitive benefits. These include better problem-solving skills, improved multitasking abilities, and superior working memory, to name but a few. But irrespective of the young brain’s natural ability to grasp new languages, the task of learning a new language can often be intimidating to students who haven’t been raised as bilingual. As such, there’s clear benefit in taking language studies beyond simple “textbook translation exercises” in order to inspire a love of languages more widely. Language is more than a matter of vocabulary and translation skills. There are profound links between language and the way in which native speakers see and interact with the world around them, and these cultural differences are as fascinating as they are varied. By inspiring a love of languages and cultures, interest in language and translation studies propagates itself naturally. Language and culture are intrinsically connected to one another – so much so that it’s virtually impossible to learn a foreign language without also building up something of a cultural understanding of its native speakers. Inspiring a love of languages and translation is part and parcel to developing a more accepting and tolerant society for our future generations, thus helping to bring our increasingly diverse and globalized communities together. To this end, why not bring culture into the classroom? Celebrating cultural holidays, tasting national delicacies, perhaps a virtual exploration of cultural landmarks. All of these will offer your young students the opportunity to see language and translation used in real-life situations for real-life objects and festivities. Language is more than a matter of rudimentary vocabulary. Helping your students to understand the countries and cultures of native speakers can inspire their fascination with languages from around the globe. This emphasis on context can also begin to show your students the importance of localization in their translation studies. Games can provide students with an approach to their language studies that many will find more engaging and enjoyable than generic “textbook translation exercises.” Through play, students can learn in ways that they find fun and enjoyable. Pair Matching – Using a set of picture or word cards, students are challenged to match words to their translated forms. This offers students a more engaging way to revise their translation skills and vocabulary. Placing the cards face down and flipping them two at a time also allows students to improve their memory skills. Scavenger Hunt – By providing students with a list of simple objects they might find around the classroom, students are given the opportunity to put their translation skills to the test in a practical and engaging way. Late for Work – Students pretend to be a worker explaining to their boss the reason they are late for work. This allows students to practice their translation and speaking skills in a realistic setting. Alongside conversational vocabulary, this also encourages students to test their grasp of the perfect tense. The fun element comes in by challenging students to use their imagination to invent all kinds of wacky and fun reasons to explain why they were “late” – with the class voting to choose the funniest/silliest explanation. This game can also be spun in a number of ways: perhaps the student could play as a fortune teller predicting the future to test their future tense. Even simple games like Hangman can be used as revision exercises in a pinch, and these examples are to say nothing of the array of language and translation-focused video games freely available online. It also doesn’t hurt to have a few props on hand to display to the class to help make translation exercises a little bit more fun and engaging. Games and play make the often laborious task of learning and expanding vocabulary more enjoyable and engaging. It’s an undeniable fact that children like to have fun. By encouraging language and translation studies through play, we can help to inspire in children a love of languages that will motivate their linguistic and cultural education for years to come. 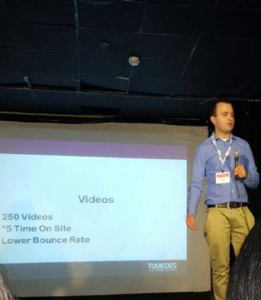 Ofer Tirosh is CEO at Tomedes, a professional translation service. Ofer’s entrepreneurial spirit led him to found Tomedes over a decade ago, choosing the translation industry due to his lifelong passion for languages. It’s totally true that the younger the better when it comes to learning a language. Specially the ability of recognising and imitating sounds is at its best at an early age. But regardless of this, a great reason to learn a language younger is, as your article says, to make this world where diverse communities meet, be more integrated and everybody from a younger age can learn to live peacefully in a globalised world through the use of language.